312 pages | 20 B/W Illus. 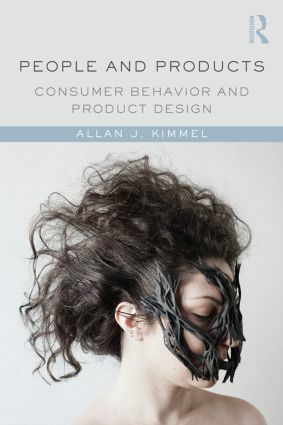 By examining the interface between consumer behavior and new product development, People and Products: Consumer Behavior and Product Design demonstrates the ways in which consumers contribute to product design, enhance product utility, and determine brand identity. emerging and future trends in consumer behavior and product development and design. This exciting volume is relevant to anyone interested in marketing, consumer behavior, product development, technology, engineering, design, and brand management. Allan J. Kimmel is Professor of Marketing at ESCP Europe in Paris, France. He holds MA and PhD degrees in social psychology from Temple University, USA. He has published extensively in the fields of consumer behavior and marketing, including articles in the Journal of Consumer Psychology, Psychology & Marketing, Business Horizons, Journal of Marketing Communications, and European Advances in Consumer Research.